TBILISI, DFWatch–The International Monetary Fund (IMF) has further reduced its economic growth outlook for Georgia. According to the new IMF forecast for 2015 and 2016, Georgia will have 2 percent economic growth in 2015 and 3 percent in 2016, while inflation will increase to maximum 3 percent this year and 5 percent next year. In the close period economic activity in the region will be weak and this is partly because economic crisis in Russia and reduced oil prices, according to the IMF. The report is published at the same time as a visit to Georgia by a delegation from the fund. Georgia has run into economic problems recently, mostly related to a depreciation of the national currency in the last six months. But the government has not fully admitted that there is an economic crisis and claims that the opposition is attempting to create panic. EBRD last week published a report downgrading Georgia’s economic growth outlook. Only after that, government members said they are planning a budget sequestration, but this will require legislative amendments which have not been initialized yet. The 8 billion laris (about USD 3.3 billion) budget might be cut by as much as 10 percent. Tuesday, representatives of the IMF met with the president of the National Bank. Before the meeting, they said that the main topic would be the currency rate. 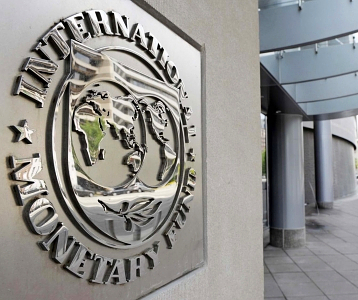 Members of the IMF mission have not yet spoken about the economic situation in Georgia. They are here to prepare recommendations regarding budget performance for the first five months of this year against the background of the weakened lari.